Want to seamlessly transition between camping and weekdays at the office? 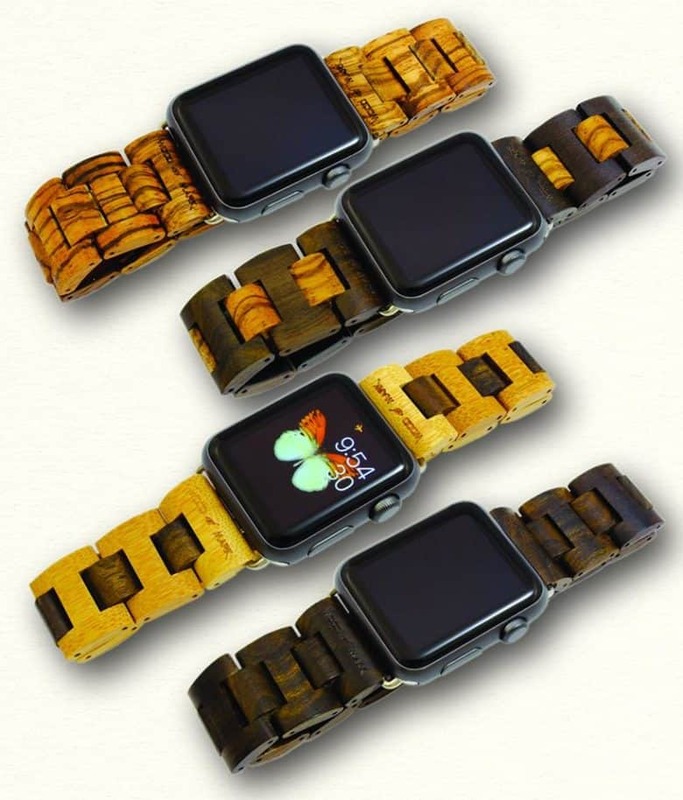 Check out Wood Mark's wooden Apple Watch bands inspired by our outdoor adventures! 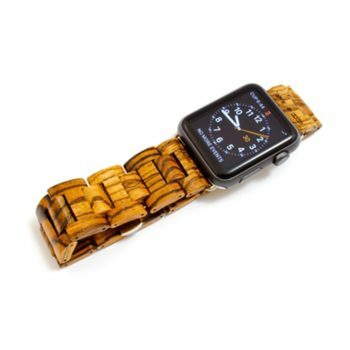 Nature is truly present in the Teton Wood Apple Watch band in Zebrawood by Wood Mark Watches. The wood for this special band comes from a species of tree found and sourced in Central Africa. Known for its richly veined, zebra-like stripes and pale golden yellow wood, zebrawood is a beautifully exotic material. 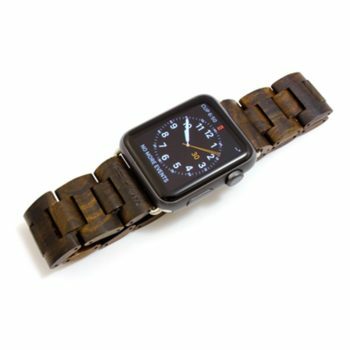 Read on to learn a bit more about these unique bands for Apple Watch, and the many surprising benefits of wearing wood. Wood Mark’s entire lineup of wood bands is now available in Cult of Mac’s Watch Store. Note: Wood Mark does not ship internationally! 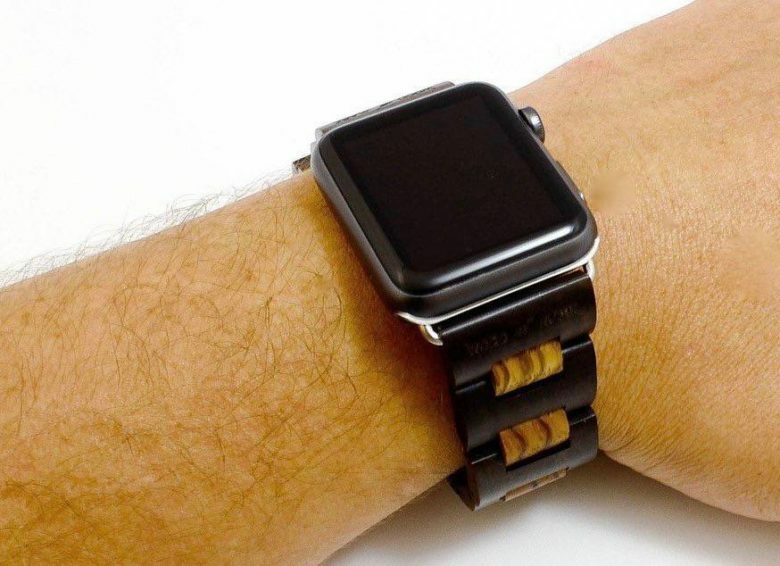 Wood Mark’s Teton Apple Watch band looks wild in Zebrawood. Originating in Central Africa, Zebrawood is a beautifully original material for an Apple Watch band. Len Trinca founded Wood Mark Watches in 2014. This followed 20 years’ experience manufacturing and distributing classic wooden toys. This, combined with Trinca’s insatiable love for the outdoors, provided all the inspiration he needed to start Wood Mark Watches, purveyors of wooden bands and watches, in St. Augustine, Fla.
“From our native Florida coastline to the Redwood forests in California, we’re inspired by the diversity and beauty of the American landscape,” says Trinca, who fittingly has named each model of wood band he sells after a national park. We love the Teton Apple Watch band in Zebrawood for its exotic and rugged look. This striped-wood band can seamlessly transition from the office and beyond, and uses the latest tech. Distinctive and au naturel, these wood bands are naturally waterproof and very long-lasting — perfect for its wearer’s outdoor pursuits. Wood Mark’s Teton Apple Watch Band in Black Sandalwood and Zebrawood. 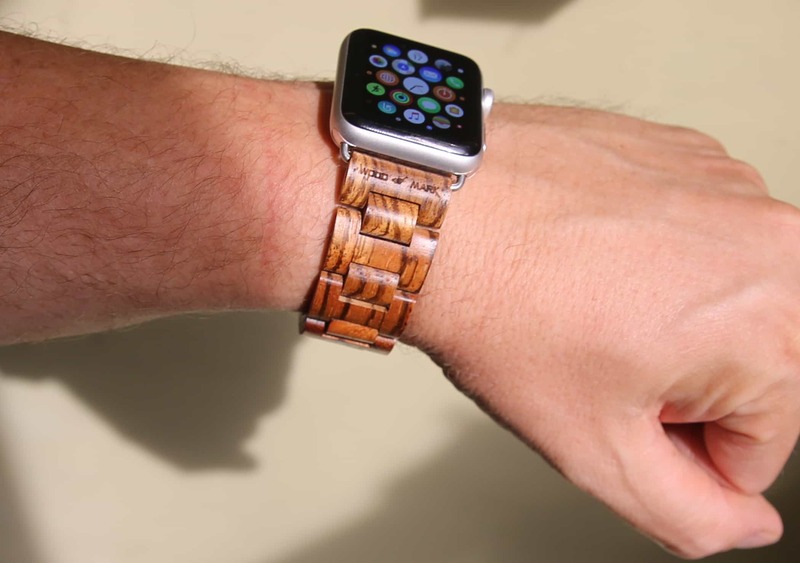 The benefits of wearing a wood Apple Watch band go beyond great looks. Wood Mark’s bands are extremely lightweight and put less strain on the wearer’s wrist than steel bands. All materials are hypoallergenic and nontoxic including the stainless-steel butterfly clasp. Wood bands are environmentally-conscious, too. Wood Mark’s Teton Apple Watch Band in Black Sandalwood. The Teton collection includes three different bands: the Zebrawood, Black Sandalwood, Bamboo and Black Sandalwood, and Black Sandalwood and Zebrawood. Each Wood Mark band includes a simple tool for easily adjusting link sizes.